Since 2011 GEA Bock has been working on the optimisation of the semi-hermetic series to become the market leader in efficiency and robustness. We are delighted to report that they have now achieved this milestone, and that the new GEA Bock 6-Cylinder compressor HG66e will be available from mid-February this year. The new HG66e series is going to replace the biggest HG6 compressors, as well as the complete HG7 series. The new series HG66e is characterised by a high efficiency, quiet operation and attractive prices. 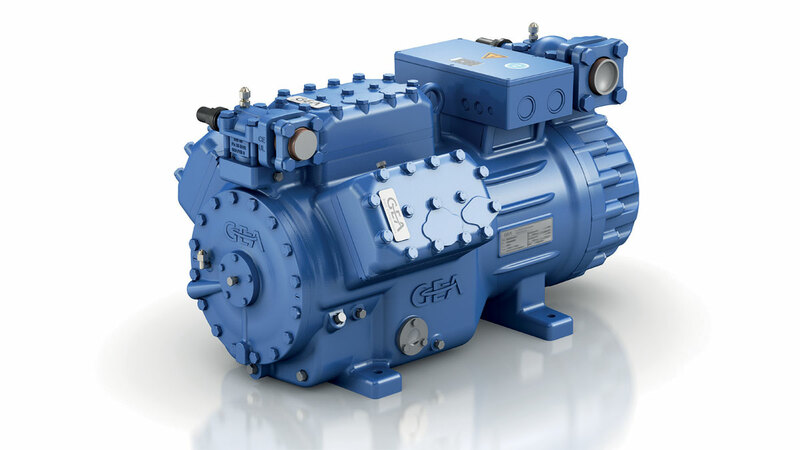 GEA have also updated the smallest compressor of the HG88e series, with the new HG88e/2400, which will be also be available at the same time. The HG88e/2400 is going to replace the HG8/2470. Please contact us for more information or order enquiries. Did you know that we specialise in producing bespoke cooling design solutions to suit your particular application?